Welcome to Dermatology Surgical & Medical Group. 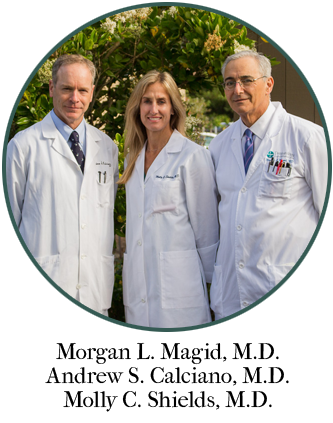 We are a full service dermatology group practicing in the Santa Cruz County area since the early 1960's. Our practice prides itself on being at the forefront of medical, surgical and cosmetic dermatology. Our primary goal is helping you achieve and maintain healthy skin – for life! The skin is the body’s largest organ, and most of us have concerns regarding our skin. Whether you are concerned about a new or changing mole, have some discomfort related to the skin, or just want to improve the appearance of your skin, we can help. We provide diagnosis and treatment for a range of skin and nail conditions, and we offer medical and surgical therapies as well as phototherapy laser treatments. We provide a full range of esthetic options both in our main office and at our medically supervised esthetic center, DERM-essence. All of our service providers are up-to-date on the best practices to keep your skin healthy and looking its best. We provide laser and IPL treatments for hair removal and skin rejuvenation, as well as a variety of dermal fillers, such as Restylane, Juvederm, etc. to treat wrinkles, and Botox to reduce future wrinkles from forming. For more details visit our DERM-essence website page.